What really happens inside astronomically realistic black holes? 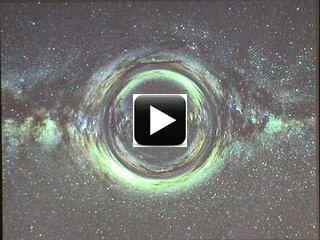 In this talk I will review the physics of the interior structure of classical black holes, and illustrate with real time general relativistic visualizations. It is well known that, except for the single case of the Schwarzschild solution, the vacuum solutions for the interiors of black holes are inconsistent as endpoints of gravitational collapse, because the cores of vacuum black holes are gravitationally repulsive. Instead, black holes must contain matter. As first pointed out by Poisson and Israel (1990), the key physical effect that changes the interior structure of a black hole from the vacuum solution is "mass inflation" near the inner horizon. Mass inflation seriously modifies the geometry of a black hole inside the region where the inner horizon would be in a vacuum black hole. Mass inflation is driven by a feedback effect in which counter-streaming between ingoing and outgoing fluids generates a large pressure, which generates a large gravitational force, which accelerates the ingoing and outgoing fluids ever faster through each other.? I argue that a generic result of the mass inflation instability is to produce a relativistic plasma inward of the erstwhile inner horizon. If you fall into a supermassive black hole, where the tidal forces are relatively weak, chances are you will die by being vaporized by the relativistic plasma before you are torn apart by tides. Other video options Slides are shown here.